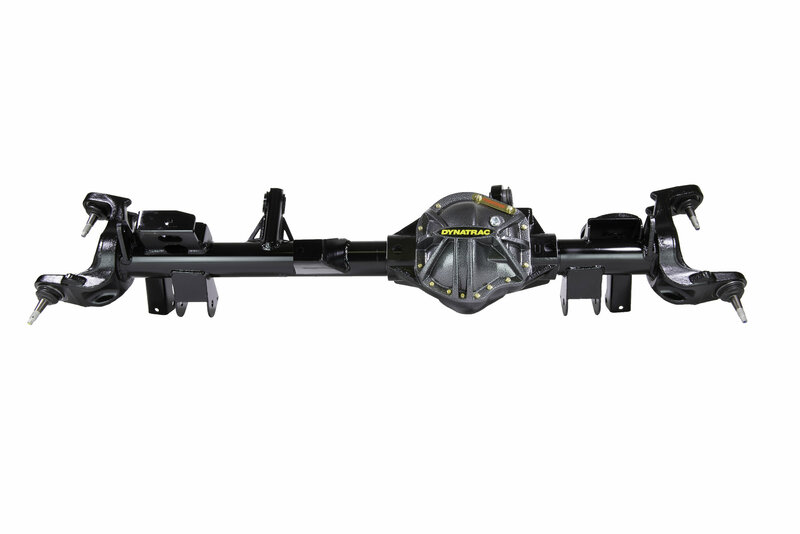 The Dynatrac ProRock 44 Front Axle Housing offers the most ground clearance in its class for the Jeep Wrangler JL. Providing ultimate strength with the 3.125 inch axle diameter and .500 inch wall thickness. This is the same tubing used in the ProRock 60 axles. The Beefy end forgings are extreme to handle a bashing. While the suspension brackets have also been upgraded to a thicker design over stock. This package includes an ultimate Rock-Proof nodular differential cover that provides even more strength. Engineered with built in Ribbing to protect vital differential components. Please Note: Ball Joints are sold separate. Rubicon Width Option - 67.9"
Sahara & Sport Width Option - 66.4"
Shipping Dims - 77" x 34" x 20"